I am making a spoof of Blade runner called "Bladder Run" (google my website bladderrun.com!) and we are attempting to recreate the look and feel of the original. I found Magnolia via a search and I am so happy I did! The tie is superbly crafted and an exact replica of the original. 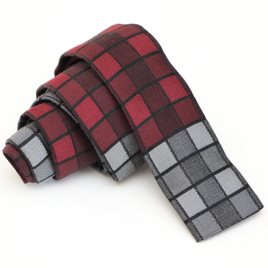 If you want a Deckard tie this is the one! Not only was it reasonably priced (with FREE International shipping) it arrived to the UK in very quick order. I will definately deal with Magnolia again Thank You so much!